In six days, Israel is going to vote in a general election. 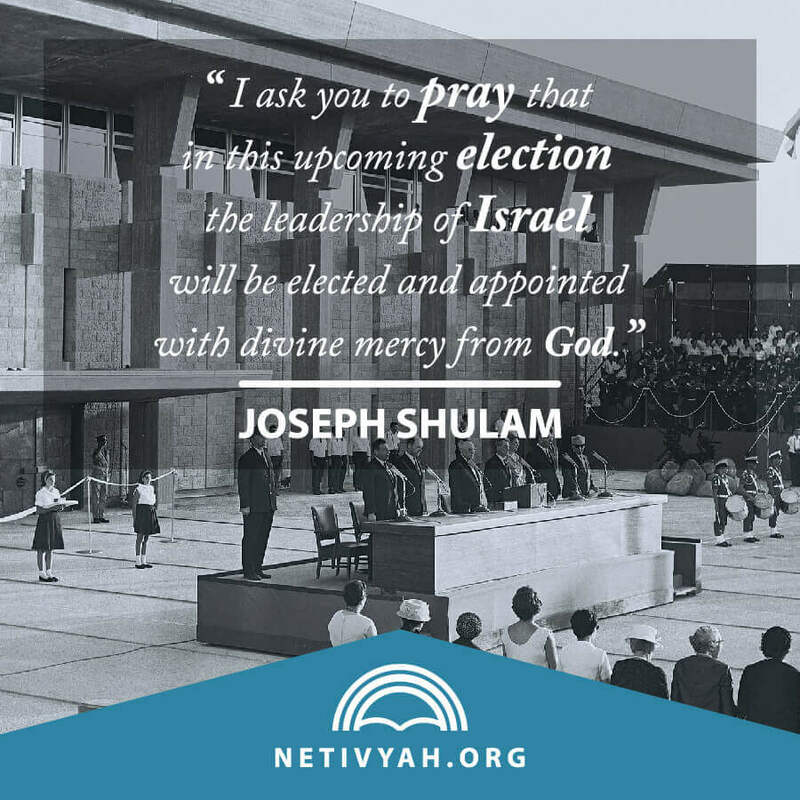 April 9th, next Tuesday, this election will take place all over the land of Israel. The election campaign in this round has been one of the most difficult, dirty and nasty campaigns. The personal attacks as they say in Israel are “below the belt.” There is not one champion of these calumnies and false accusations against each other. In this election, everyone is at everyone else’s throat. This is one of the most bitter election campaigns in Israel’s history. For this reason, I ask you to pray this next week for all of Israel. Pray that God’s choice will win this election and lead Israel through the very big challenges that Israel faces in the world. Pray for the challenge of Israel with Iran and their evil intent against Israel, and with Hamas in Gaza and their unceasing terrorist actions against Israel. All the prayers and actions and contributions for Israel must have only one goal in focus – the promise of God that all Israel shall be saved. If your goal in prayers and support of Israel is the establishment of your church and your denomination to aggrandize your sectarian aspirations but ignore God’s promises – please rethink your motivation. There is no future for Christian denominations and missionary efforts in Israel. Israel is God’s chosen nation, and Israel will never become a part of any Christian denomination. Just as Peter, Paul, John, Luke, Matthew and Jacob (James in English) were Jews and remained Jews and never said that they are Christians, much less members of some denomination that has its headquarters in Indiana, or Toronto, Canada, Oklahoma, California, or some place in Europe or Taiwan, so also the Jewish nation will receive Yeshua and crown Him as the Jewish Messiah and Savior promised by the prophets. Please continue to pray for Netivyah, the Roeh Israel Congregation and the Teaching from Zion Ministry, as well as for our brothers and sisters in Brazil, the Har Zion Congregation, and the Abrajin non-profit organization. 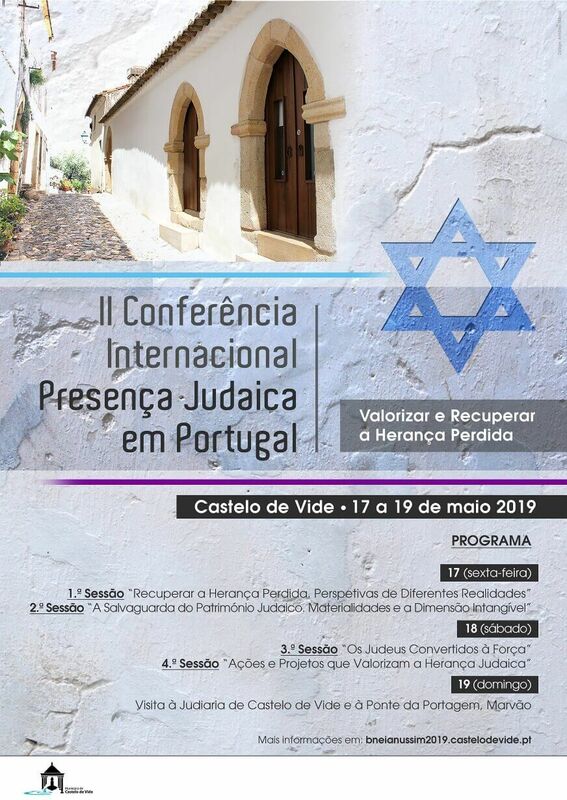 We are all working very hard for the restoration of the Latin hidden Jews, or lost Jews, that are victims of the Spanish and Portuguese inquisitions. Please pray for the conference that will be held in the middle of the month of May in Castelo de Vide, Portugal. We need your support in prayer and your material support to make this conference what God wants it to be. Please also keep in prayer the congregations in Vitoria, Curitiba, and in so many other places in Brazil. Our dear brother Efim passed from this world to be with the saints eternally. His widow has no access to any funds until all the paper work is processed. This could take a few months. Efim our dear brother did not make the necessary steps to take care of these mundane and logistical needs. Our congregation and Netivyah will have care for the widow until the legal issues are resolved. Please pray for Elena Litvak, Efim’s widow. It is our God-given duty. Eddi Santoro is also in urgent need for prayer. He is one of the leaders of Revive Israel congregations in Jerusalem. He has been dealing with cancer in the brain and had two surgeries but now the cancer has returned, and the only possible help has to come from the Lord Himself. Please remember our dear brother Jacob Damkani in your prayers. I am adding two very important prayer requests: Amir the son of Amira has also died. We are continuing to pray for Amir’s grandmother Um Abu-Eid. She is the wife of one of the finest Arab gentlemen and a God-fearing man and the mother of one of my dearest friends in Jerusalem. I am adding another dear and important leader in the ultra-Orthodox Jewish community who is ill with a serious disabling illness. He is a sincere truth seeker and a student of the entire scriptures. Pray for his healing and protection and for the Holy Spirit of God to guide and lead this precious and sanctified leader. These brothers and sisters from around the world who need your prayer and your intercession and healing. Paulo, and Noami. Marcelo’s parents, Curita Sensei, the Abe family, Toru, Takeo Sensei, Daisuke Sensei, Tomoko San, Yumi, and her father and family.